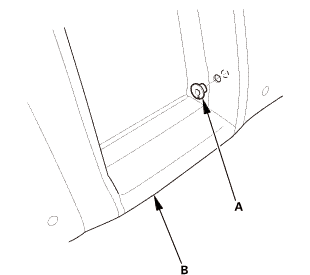 Remove the clip (A) from the pivot shaft (B). 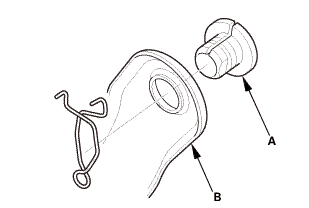 Release the pivot shaft (A) from the collar (B). Release the pivot shaft (A) from the collar (B), then remove the rear seat armrest (C). 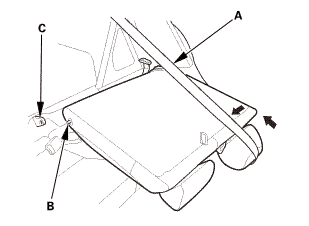 Remove the collar (A) from the rear seat-back (B). 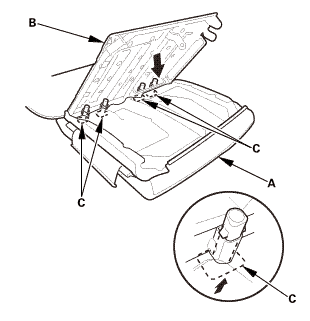 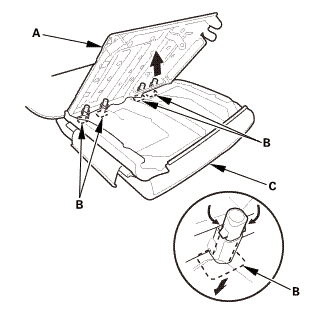 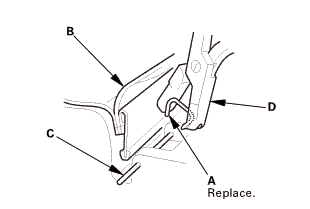 Remove the center seat belt guide (A). 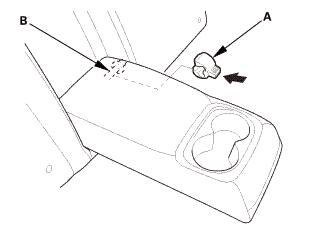 With rear seat armrest: Pull out the center area of the armrest back panel (A). 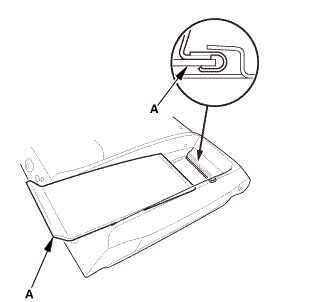 With rear seat armrest: Release the upper edge of the armrest back panel. 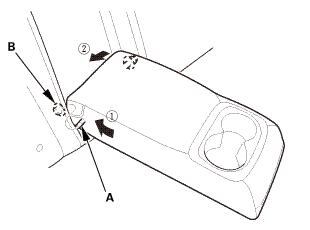 With rear seat armrest: Remove the armrest back panel (A). 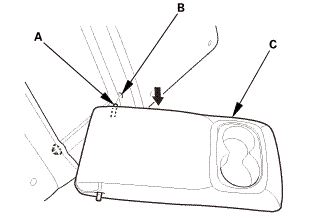 Release the hook strips (A), and detach the clips (B). 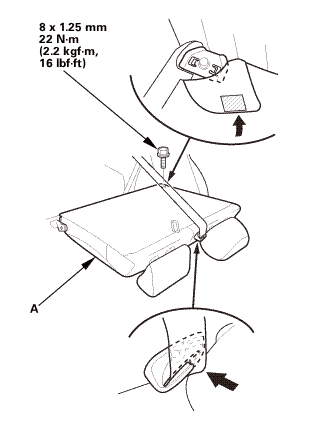 Turn over the rear seat-back cover (A). 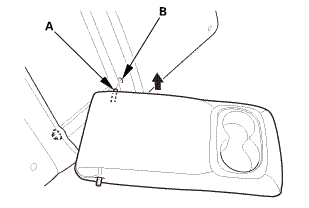 Release the hook strips (B). 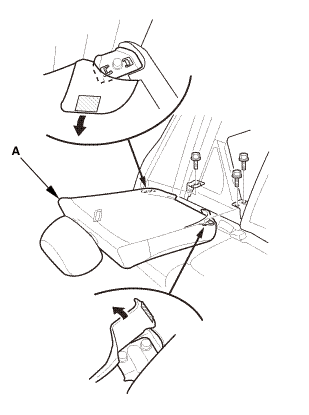 While pulling out the rear seat-back frame (A), remove the head restraint guides (B). Remove the rear seat-back cover/pad (C) from the rear seat-back frame. 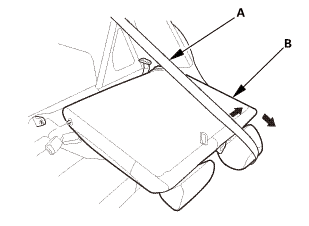 With rear seat armrest: Remove the collar (A) from the rear seat-back frame (B). 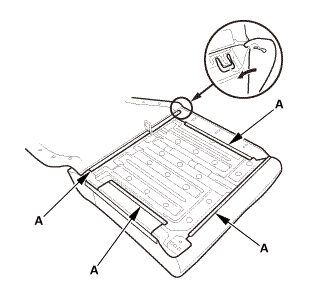 While pulling back the rear seat-back cover (A), release the upholstery rings (B), then remove the rear seat-back cover. 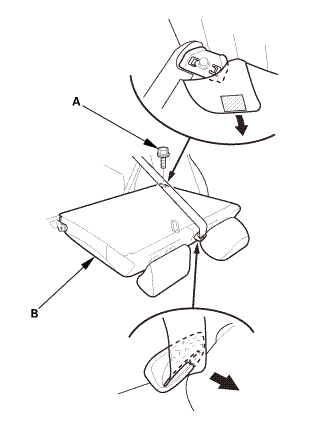 Install the upholstery rings (A) securing the rear seat-back cover (B). 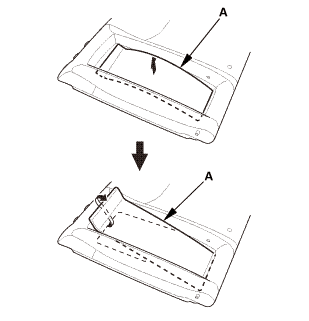 With rear seat armrest: Install the collar (A) to the rear seat-back frame (B). 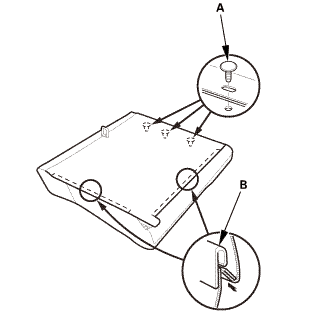 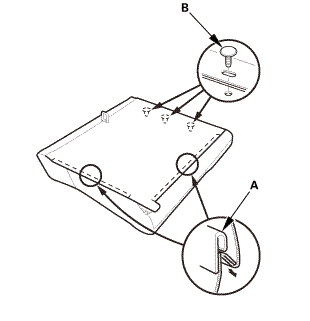 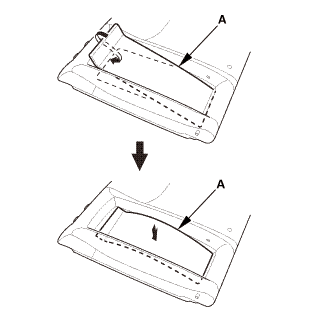 Install the rear seat-back cover/pad (A) to the rear seat-back frame (B). 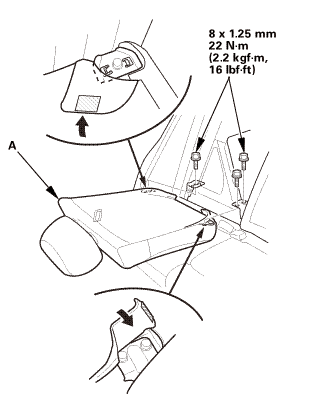 Install the head restraint guides (C). 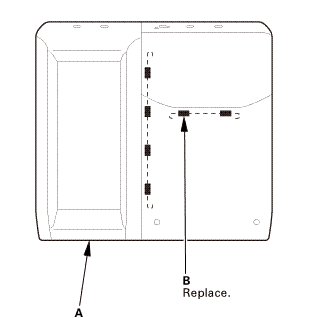 Install the clips (A), and install the hook strips (B). 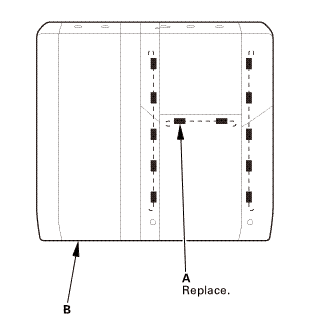 With rear seat armrest: Install the lower edge of the armrest back panel (A). With rear seat armrest: Install the upper edge of the armrest back panel (A). 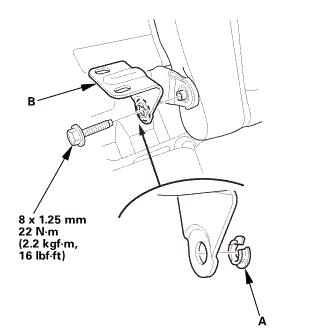 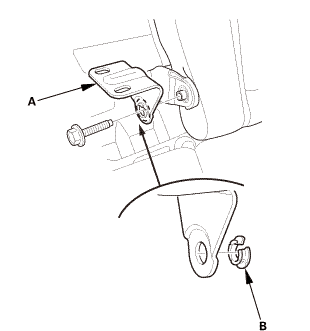 Install the center seat belt guide (A). Install the collar (A) to the rear seat-back (B). 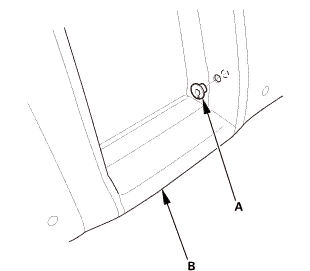 Install the pivot shaft (A) to the collar (B). 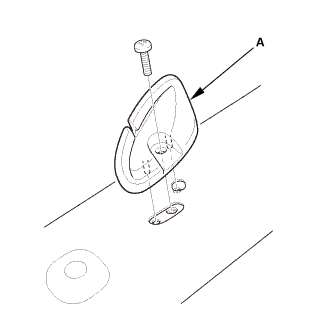 Install the clip (A) to the pivot shaft (B).